An RV, which stands for Recreation Vehicle, is a vehicle that combines transportation and temporary living quarters for travel, recreation and camping. Two main categories of RVs are motorhomes (motorized) and towables (towed behind the family car, van or pickup). Type A motorhomes are generally the largest; Type B motorhomes or van campers are the smallest and Type C motorhomes generally fall in between. Types of towable RVs are folding camping trailers, expandable trailers, truck campers, conventional travel trailers and fifth-wheel travel trailers. Sports utility RVs (also sometimes called "toy haulers"), which feature a built-in garage for hauling cycles, ATVs or sports equipment, are available in both motorhomes and towable RVs. Visit the RV Basics page on this blog for further information on the different types of RVs. What is the RV industry's economic impact? The RV industry employs more than a quarter million Americans, and has a total payroll of approximately $4.9 billion. Stringent credit standards and sagging consumer confidence have contributed to significant RV-related job losses. Since June 2007, RV industry layoffs total approximately 280,000 — 53% of the industry's workforce. However, since the beginning of 2010 most of those people have been brought back to work as manufacturers have increased production. RVs are made by American companies employing American workers that are located in America. In fact, more than 60% of recreation vehicles are made in Elkhart Country, Indiana. Another 15% is located in Oregon and California. U.S. ownership of RVs has reached record levels, reveals a 2005 University of Michigan study commissioned by Recreation Vehicle Industry Association (RVIA). One in 12 U.S. vehicle-owning households now owns an RV. That's about 8.2 million households — a 15 percent increase during 2001-2005 and a 58 percent gain during 1980-2005. Today's typical RV owner is 49 years old, married, with an annual household income of $68,000 — higher than the median for all households, according to the Michigan study. RV owners are likely to own their homes and spend disposable income on traveling — an average of 4,500 miles and 26 days annually, RVIA surveys show. A leading force behind RV ownership's upswing is the enormous baby boomer generation, supported by strong ownership gains among both younger and older buyers. In fact, high RV ownership rates now extend across a 40-year span from age 35-to-75, the study found. Nearly nine percent of U.S. households headed by 35-to-54 year olds own an RV, slightly exceeding the 8.6 percent ownership rates of those 55 and over. Those under age 35 posted the largest gains in RV ownership in the 2005 survey. RVIA estimates nationwide there are as many as 30 million RV enthusiasts, including RV renters. • Flexibility and convenience — RVs offer a convenient, hassle-free way to see America. RV travelers enjoy the freedom and flexibility to go where they want, when they want - without the worry and stress of inflexible schedules, advance reservations, airport waits and luggage restrictions. • Comfort — With fully-equipped kitchens and baths, rooms that slide out at the touch of a button, central air and heat, flat-screen TVs, surround-sound stereos and more, today's RVs provide travelers with all the amenities of home while on the road or at the campground. • Family appeal — RVing is a uniquely enjoyable way to travel as a family. In fact, families that frequently vacation by RV say it fosters an increased sense of togetherness and helps improve family communication. 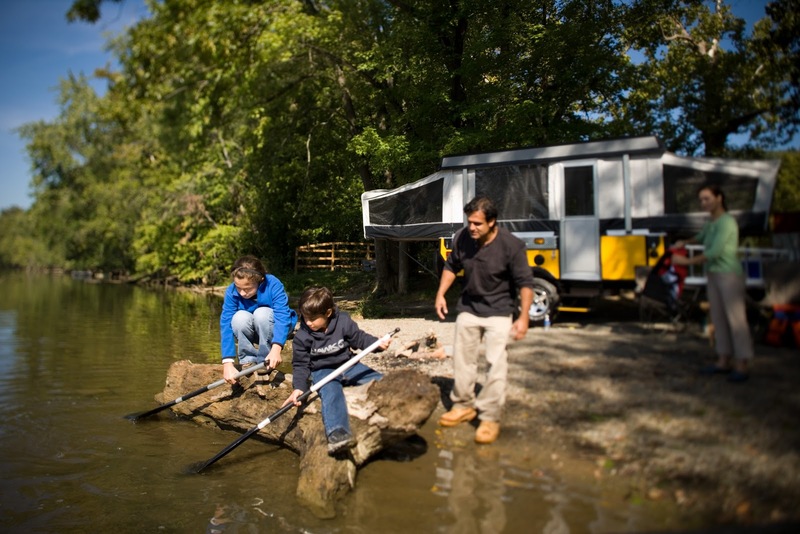 RV owners say that strengthening family relationships is important for their pleasure trips. • Affordability — RV vacations are more affordable than travel by personal car, commercial airline or cruise ship, according to vacation cost-comparison studies by PKF Consulting. Even factoring in RV ownership costs, and considering resulting tax benefits, a family of four can spend up to 61 percent less when traveling by RV. 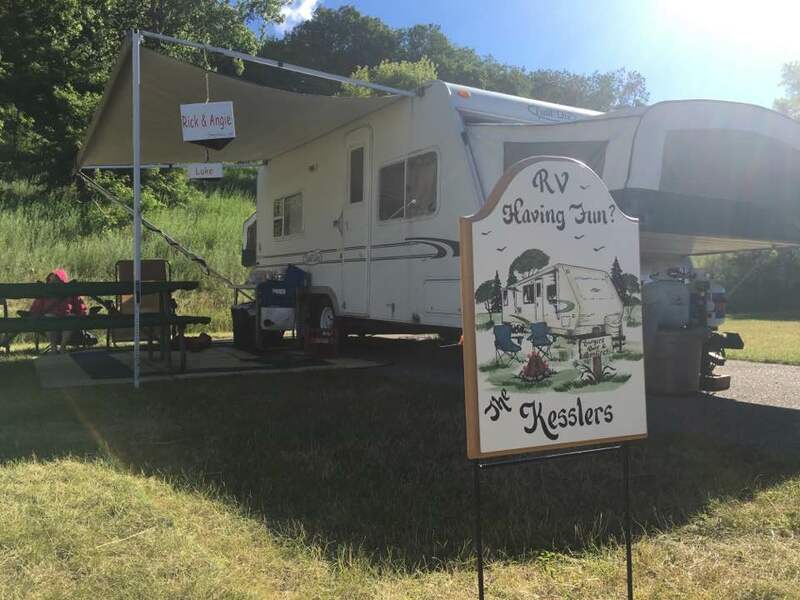 • Lure of the outdoors — RVers can enjoy the mountains, beaches, parks, popular tourist attractions and small towns whenever they want, without giving up the comforts of home. With the new sport utility RVs, RV travelers can easily haul their ATVs, snowmobiles, motorcycles or other outdoor vehicles right on board. • Versatility — In addition to travel, camping and outdoor recreation, RVs are used year-round for a variety of other purposes, like shopping, tailgating at sporting events, pursuing special interests like horse, dog and antique shows and other hobbies. 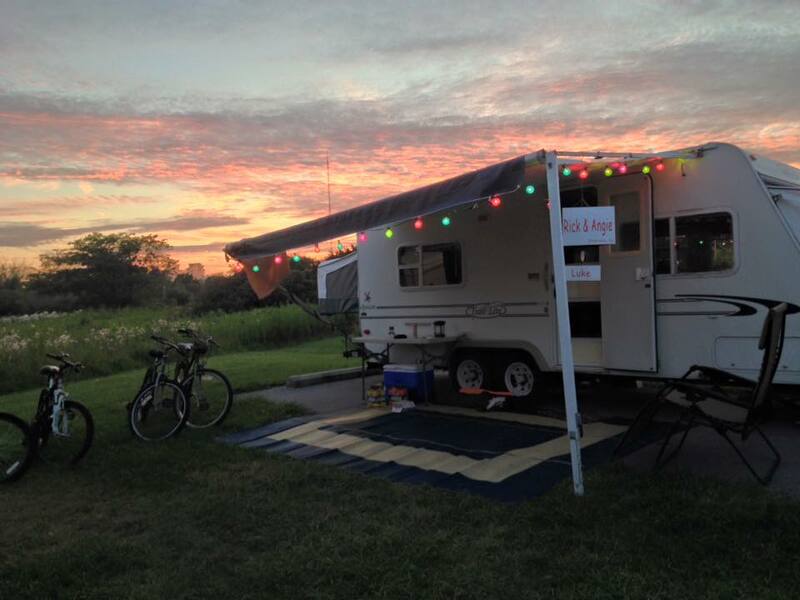 • Rentals available — Renting an RV is a popular way to "try before you buy." The RV rental business is a $350 million industry, which is continuing to grow. With more than 16,000 public and privately owned campgrounds nationwide, RVers are free to roam America's roads for a weekend - or months at a time. RV travelers seeking a resort atmosphere are attracted to the growing number of luxury RV resorts with facilities such as tennis courts, golf courses and health spas. RV demand remains robust and the potential for future sales is bright, according to a University of Michigan study. Among U.S. households that have never owned an RV, more than one in six expressed interest in purchasing an RV in the future. Both parents and empty-nesters are strong potential RV buyers, and promising future prospects are emerging among younger, ethnically diverse consumers, reveals a Harris Interactive study commissioned by the Go RVing Coalition. Generation Xers exhibit interests in outdoor activities that are highly compatible with RVing, the study found. Ownership and demographic trends favor substantial RV market growth, according to the University of Michigan. Baby boomers are entering the age range — 55 to 64 — with the highest RV ownership rates, according to the Michigan study. The number of RV-owning households in the U.S. is projected to rise to nearly 8.5 million by 2010 — a gain of 15 percent between 2001-2010, outpacing overall U.S. household growth of six percent. • Surf the web — Check out RVIA.org and GoRVing.com for information on RV travel trends, vehicles types, show listings and lists of RV dealers and campgrounds in your area. • Download a Free Video — Visit GoRVing.com to download a free RV "getting-started" video. • Visit an RV dealer — Check the yellow pages and the website of the Recreation Vehicle Dealers Association (rvda.org) for local dealership listings. • Attend an RV show — A variety of RVs of all shapes, sizes and costs are displayed at dozens of RV shows around the nation. Show dates and locations are searchable at RVIA.org. • Rent an RV — More than 460 RV rental outlets are located across the country. Renting allows potential buyers to try RV travel and determine which vehicle types best suits their needs. Check the yellow pages under "Recreation Vehicle-Rentals" for the nearest rental outlets. • Obtain an RV buyers' guide — Visit a local bookstore or library. — Information from the Recreational Vehicle Industry Association.